This level have normal difficulty and have new blocker that required three moves to break them. First you should try to play from bottom to break blockers and as board start to get more free you will have more chance to break candies plus can easily make special candies. You should make special combos as you have only 24 moves and the board have almost 38 blockers that need to be break fast. If you get colorbomb then try to break with any normal color candy that you need to break so it will make more other candies available and you can easily break them. 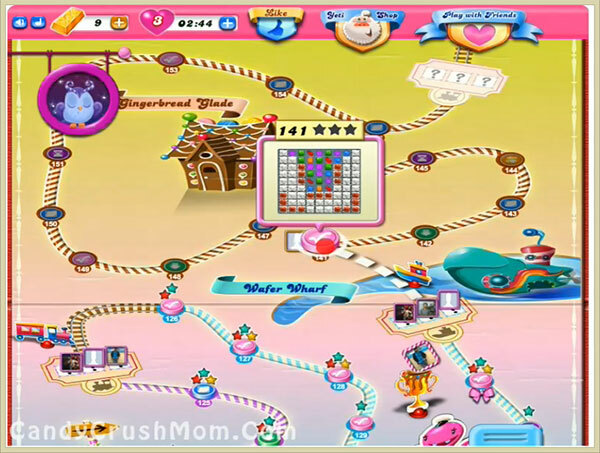 We completed this level with 42660 score within 19 moves by using special combos and rest five moves converted to striped candy that help to get three star score.